Today, Google has announced that it is beginning to integrate Duo video calling within Android allowing people to place video calls to their contacts through Phone, Contacts, and Android Messages apps. Video calling undoubtedly is becoming more and more important in our lives. It allows us to break the barriers of distance and bring us closer to anywhere in the world. It’s a great tool to connect friends, family and businesses. People are relying on video calls to give business presentations, have meetings and even have job interviews. In fact, Skype, a known video-chatting platform, has 5 million users per day and this number increases every day. It’s more important than ever to have a proper video calling set up to make sure your video calls are up to standard. 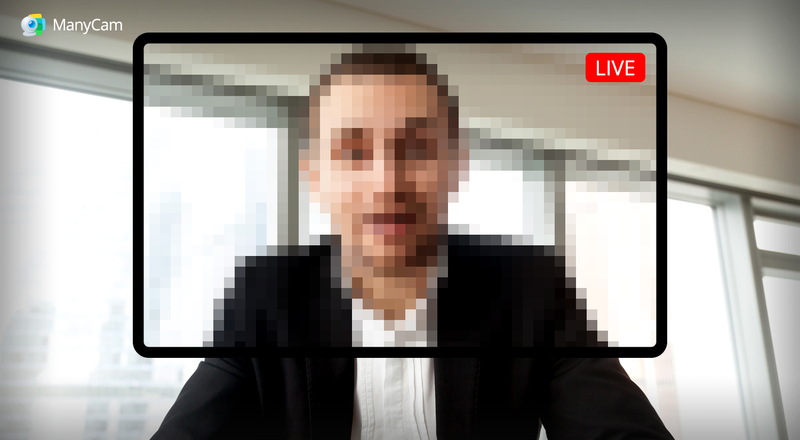 Sometimes, you can get by with a low to medium video quality if you’re just having a friendly chat. But even so, it can be quite annoying, right? Those pixelated images and the frozen videos on the worst moments. The quality of your video will directly affect how you’re perceived by the other person. If you take some of your time to set up a proper environment, with good lighting and an ok webcam, it shows that you care. If it’s for a business call, having a good quality live video will speak volumes about your level of professionalism. More than that, it makes you trustworthy and we’re not exaggerating. Let’s think about websites, for example. If you go on a beautiful and well-thought-out website, you’re far more likely to trust it because you assume the content is high quality. It might not be, but it sure feels like it is, doesn’t it? How can you make sure your live videos are good enough? The number of gadgets out there, that are supposed to improve your video call quality, is overwhelming. Here are a few tips on what you need to focus on. First and foremost, you need to focus on image and audio. These 2 elements will make or break your video chat. Nowadays, there are very affordable webcams on the market that can definitely help. If you don’t feel like investing on one yet, you can use the camera on your phone with the ManyCam app. Get a software to help you on the background while you have your calls on other platforms. Because there are some tweaks you can do, to get the best out of your webcam or cellphone. For example, ManyCam allows you to change the brightness, contrast and saturation of your video. You can also apply different filters and effects, to make sure your image is the best it can be. Learn more about ManyCam features here. If you can invest in a good microphone and a headset, do so. But if it’s out of your budget, make sure you have at least the headphone set that came with your cellphone or something similar. Using earphones will reduce speaker feedback, so the person on the other side won’t hear their own voices, overlapping. Some microphones come with a built-in noise reduction function, but you can also find this feature in the software. If you are using ManyCam, you will find a few different settings to use and make sure you get a good audio. And it goes without saying that you should be in a quiet place with little to none noise and distractions. Secondly, be mindful of the environment you are in. Having good lighting will improve your image quality even more and will make you look better. Get a light source to go directly on your face, either in front or diagonally and see the difference. The best way to find out the right lighting setup for you, is trying them all out. Simply reposition your lamp or other source a few times and see what works. But make sure there is no light coming from the background. Don’t forget to pay attention to your background, especially if it’s a business call, having a mess at the back can be distracting and off-putting. Look for a more neutral background with little distractions and people will focus on what you are actually saying. In summary, when planning a video call, make sure you get high quality image and audio. Use a software that can help you manage and enhance your video. Also, have a good lighting set up and don’t forget to create a neutral background. These tips when taken into account can improve how people see you online and show them you care. There are many other things to consider, such as preparation, content and materials, which we will go over in the future. Meanwhile, test your camera, microphone and lighting set ups and figure out what works best for you to start putting out high quality videos calls. It doesn’t matter if you’re video chatting with friends, having a video conference or doing an online business presentation, if you can do it better, why not? Get ManyCam today and have better video calls! How can you take advantage of YouTube videos on your live streams?